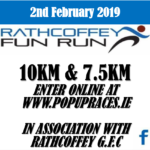 Rathcoffey Fun Run are delighted to welcome you back for our Annual 10k on February 2nd 2019 at 11am. 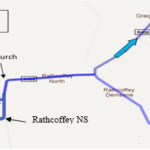 Starting on the grounds of Rathcoffey GAA and setting out for the quiet country roads, running with a backdrop of Rathcoffey Castle and returning to Rathcoffey GAA. Overall, a generally flat route with some small rolling hills; perfect for those looking to achieve those sought after PB’s on an AAI measured route. Well marshaled and with excellent facilities before and after, this event is perfect for those that wish to start the year in a healthy and enjoyable way. There will be parking, changing and showering facilities available for all competitors, along with post race refreshments in the hall after the event. Registration and number pick up will take place from 9am at Rathcoffey GAA, with the race starting at 11am sharp. Technical t-shirt included with all online registrations. 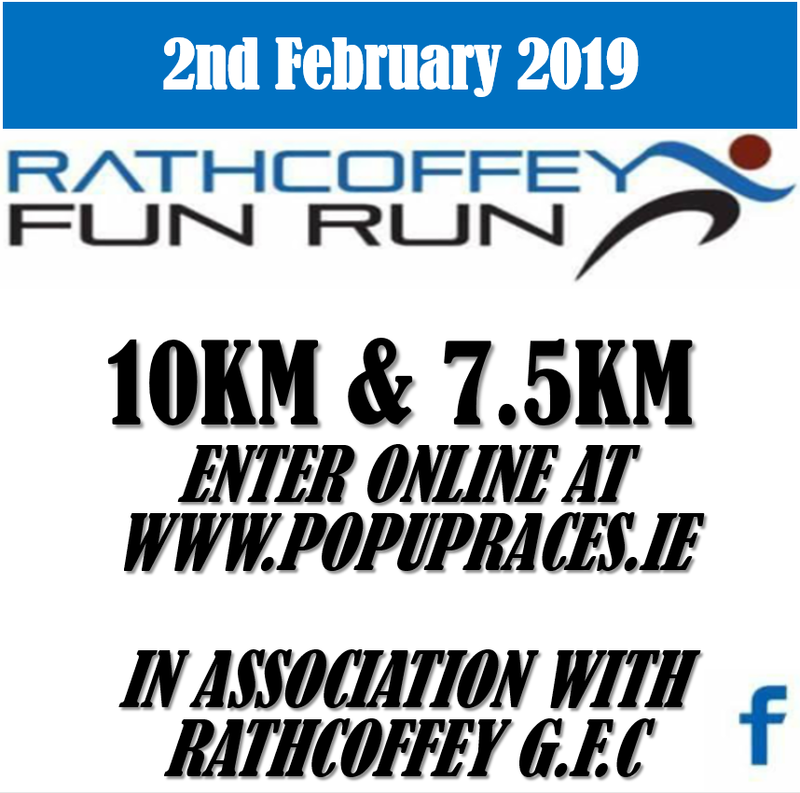 Keep an eye on the Rathcoffey Fun Run Facebook page for more info. This event is a 10km Fun Run, starting at 11am sharp from Rathcoffey GAA. A 7.5km (11am start) option will also be available to those wishing to take part but feel they are unable to complete 10km. A full road closure will not be in place. All road junctions will be marshalled. For safety, please do not stray from the route, the full route will be signposted and marshalled. If participants wish to retire at any stage, please inform a marshal close by. The run is to start and finish at Rathcoffey G.F.C. grounds where there will be car parking, changing room and shower facilities available. Registration Fee is €25, or €10 for those under 16 years of age who register on the day. o Please note you can register from 9.30am to 10.45am @ Rathcoffey G.F.C. grounds. o Participating Juveniles (under 16 years of age) must be accompanied by an adult. Please see below a map of the route. Please let friends/colleagues that maybe interested in participating know. We would appreciate if you can minimise use of the local roads during the fun run (11am and 12:30am).